Founder-director of Longstone Books, Greg is an award winning film director and producer. He has directed films for all the major UK TV channels and for The History Channel, Discovery and The Learning Channel in the USA. He has filmed extensively in the UK, and in Africa, Latin America, the Caribbean, India, China, Central Asia and the USSR. His range includes current affairs, documentaries, studio programmes and drama. His films have won several awards. China Rocks, about China’s first Rock star, won the Grand Prix for the best film at the International Visual Music awards in Cannes. The Bank, the President and the Pearl of Africa won Best International Documentary at One World TV awards. Dispatches: the Lockerbie Trail was nominated for Best Current Affairs programme at the 1999 Indie Awards. He lived in Africa for four years and is author of Africa Undermined, a history of the continent; and of Making Cars, a history of the Morris Motors car factory by those who work there. 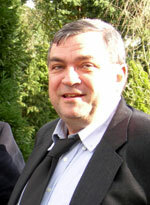 He has been managing director of his own company, Television History Workshop. Tina is a specialist in child development and early childhood education. She has managed community nurseries, organised play provision for children of all ages, been a university lecturer, and set up the Equality Learning Centre (a national resource on early years education and equality of opportunity). She has worked with people in Asia, Africa, the Middle East and Europe on issues of diversity - ethnicity, disability, gender. Her work on asylum seekers and children affected by conflict has been published by the Refugee Council and the Open University. 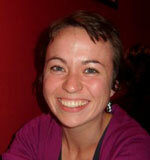 Mary is from a Scots/Irish family, grew up in Wales, was a student in Germany and a teacher in Northern Nigeria. She worked for six years as an editor of educational books in two publishers, Longman and Evans, and in her subsequent career as an English language teacher and manager in adult education has written and edited newsletters, teaching materials and teacher training resources. 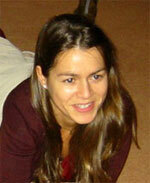 She has contributed to a number of publications on topics related to English language teaching. 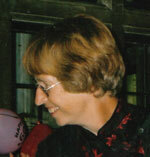 She was the co-ordinator for the Our Lives autobiographies project and edited five of the titles in the series. She speaks German and French and enjoys trying to learn other languages. Rebecca has been designing websites for the past six years - for Pesticide Action Network UK, Adopt a beach for the Marine Conservation Society, travel sites, on reflexology, and sites for individuals and small enterprises. She has done lay-out, design and desk-top-publishing of reports, produced written information on policy campaigns for a website and public inquiries, been a writer/editor for the journals Rural Matters and Fieldwork, and contributed to the Good Beach Guide. She loves playing around with Photoshop and in her spare time does a lot of drawing - ideally of wildlife, but more often of people's pets. In an attempt to stay fit (but not necessarily alive) she can regularly be found cycling the streets of London. Jonas advises on promotions using social media. He has been a publicity co-ordinator for a students’ union, done research in schools for Datenwerk GmbH, and developed on-line educational materials. He is a social researcher specializing in the sociology of childhood, with experience in universities in Germany and the UK, and was responsible for photo-research for the publication 'Children Can Do,' with Hugh Hawes and Amelia Kyazze. He currently freelances as a researcher and translator (English-German) in Berlin and is aiming to set up a project around immigration and identity. Dimitri has worked as a freelance graphic designer since 2001 specialising in logo design and promotional materials. He draws on earlier experience in advertising and as a fashion designer, translating the ideas of his clients into effective visual pieces. He has lived and worked in India, Spain and the USA, absorbing influences from the environments around him. He brings to his design work a love for old techniques such as printing, photography and drawing, which he blends together in a contemporary style. Through Long House Publishing Services, Kate and partner Mike Kirkwood offer a wide range of services, including book design, layout, editing, proofreading, indexing, map making and production management. They also conceive, write and design brochures, pamphlets and booklets for a range of organizations. They have clients who have been happy enough with their work to have used them for twenty years! Tess has helped organise numerous promotional events for books. She has organised large scale seminars and conferences in Europe, Latin America and Africa. As co-manager of an English language bookshop in Chile she ran a series of cultural and promotional events and workshops. Her work for Longstone Books includes planning and design of events as part of Get London Reading. Anne has many years experience in publishing, both in-house and out-of-house. She specialises in book production and project management, including re-writing, copyediting, proofreading and administration of book design, typesetting, indexing. She also has long-term experience of working with printers around the world, including print and paper-buying, job-costing, and quality control. Helen is a developmental psychologist with many years experience of writing and editing. She has developed materials for organisations ranging from local projects in rural India and Nepal, to a curriculum for an Oxford University degree course. She has lead research teams in several countries in Africa to produce publications on child development; edited a sourcebook on HIV/AIDS prevention for UN agencies; and guided development workers in how to write effectively about the projects they undertake. She is bi-lingual (English/Spanish), and loves to dance.